This manuscript is one of the chapters of New Mexico, Rio Grande, and Other Essays . This is the only draft available as a manuscript of Places for Spirits, Places for Ghosts in the Center for Southwest Research Center. This draft appears to be a printout from a word processing program, printed on 8.5x11" computer paper. 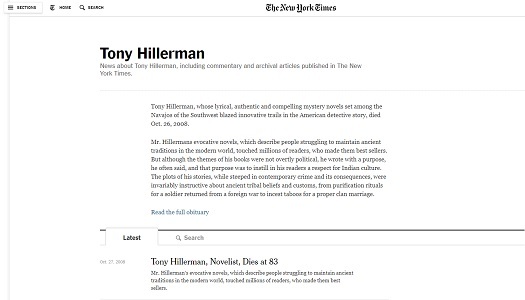 Itterswiller is a Tony Hillerman's autobiography published in the Appellation magazine titled Conjuring Up Itterswiller: Memories of an Alsatian Vineyard in May 1998. This articles describes the moments of World War II during his visit to Itterswiller in the Alsatian region in Germany. This is the only available manuscript available in the Center for Southwest Research. 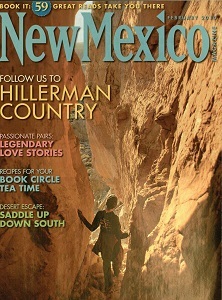 A copy of this published article is available in the Tony Hillerman Portal. Click here to view the copy of the published article. Building Without Blueprint is one of the journal articles by Tony Hillerman, discussing the authorship and writing for detective novels. This is published in the Writer magazine in 1986 and republished in 2007. 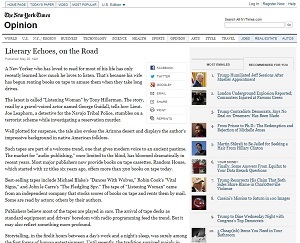 Both published copies of the article are available in this Tony Hillerman Portal. 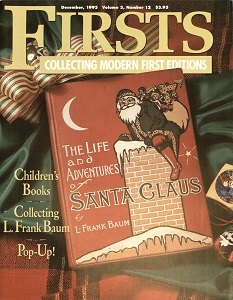 Click here to view original publication (1986). Click here to view reprinted publication (2007). This is the only draft of Building Without Blueprint in the collections of the Center for Southwest Research. This draft appears to be a printout from a word processing program, printed on 8.5x11" computer paper. 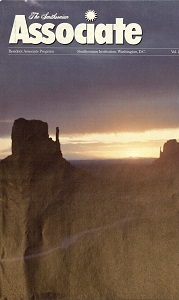 An invitation letter for the gala celebration honoring Tony Hillerman as a 2004 Notable New Mexican.